Windows 10 and Office are two of Microsoft's most popular products, and next week Microsoft says the company will show off how future versions of each will work together. Microsoft plans to hold an event on April 16 "to experience modern Office on Windows and see how Microsoft is rethinking the modern workplace – both in the office and on the go," according to an invitation Microsoft sent out Monday. 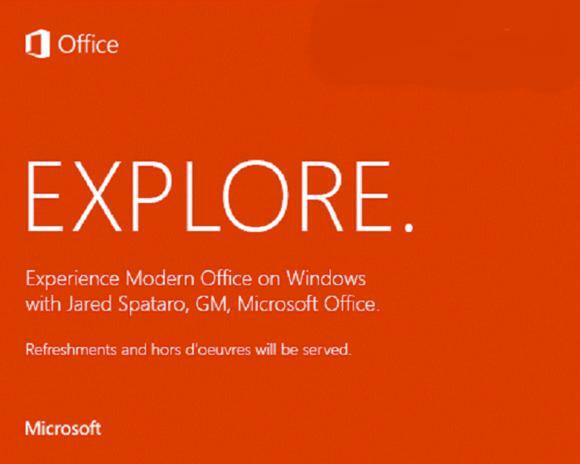 The event is expected to show off Office "experiences" for Windows 10: both "universal apps" that transcend the desktop, tablet, and phone, as well as specific features of Office 2016. The new apps should be touch-optimized, based on what Microsoft has said previously, and free to use on smaller tablets and phones. Microsoft Word for Windows 10. Office 2016, meanwhile, is scheduled to ship later this year. Microsoft hasn't said anything about the new features that will be integrated into the new suite, but the company is likely keenly aware that Office customers have passed it over because it offered nothing new. It's likely that apps like Sway or at least Delve will be added into the mix. 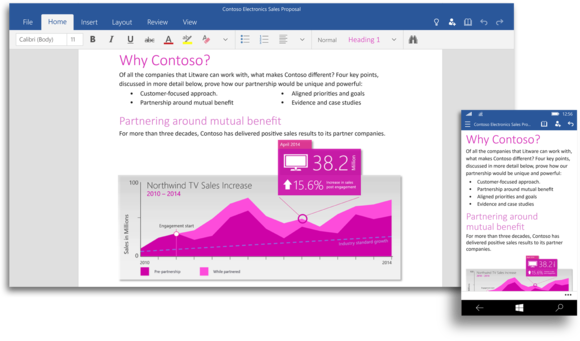 Microsoft has said previously that the new apps will include features like Insights for Office to the suite, allowing you to connect shared documents to data compiled by Bing. Microsoft has also promised hands-on time with the new apps, meaning we'll be able to report our impressions about how Microsoft's Windows 10 vision is all coming together. Why this matters: We've previously described Windows 10 as not so much a leap ahead, but as a move that brings Microsoft's ecosystem closer together. So far, much of that public discussion has been about Microsoft making inroads on phones and tablets, and forging a cohesive experience across those multiple platforms. Next week we should see a bit more about how Microsoft plans to tie its software platforms together, namely Windows 10 and Office.